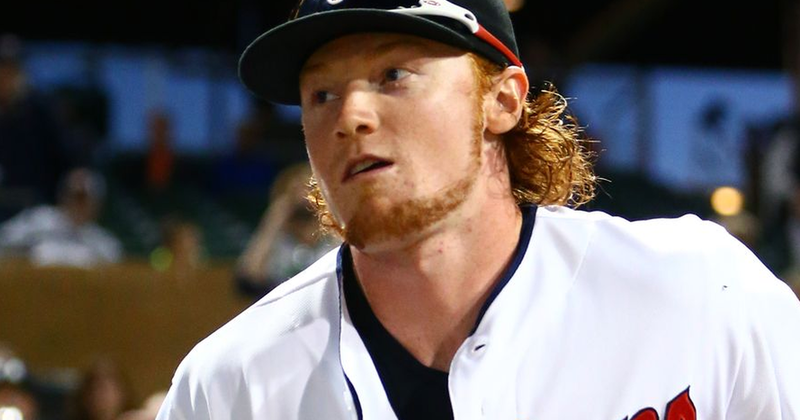 Clint Frazier is up with the Yankees at least for a few more days, if not forever, so let's take a look at the scouting report and Meet a Prospect post we had for him here on the blog back in 2016. Enjoy. The New York Yankees are going through top prospects in their system like most people go through underwear, they have a new one every day or every other day it seems. I joke about people changing their underwear every other day, at least I hope that I am, but not about the Yankees top prospects in their system. For the entire season it was Jorge Mateo who occupied the top spot until Aroldis Chapman was sent to the Chicago Cubs and Gleyber Torres was brought in to dethrone the Yankees shortstop. Now like many transitions and power struggles there is a new king already after the Andrew Miller trade and his name is Clint Frazier. Don’t let the red hair fool you, Frazier is the real deal. Let’s meet him. This is Meet a Prospect: The Clint Frazier Edition. potential five-tool player. Frazier is an aggressive hitter but he has worked on that in recent years and has seen his strikeout numbers go down while his contact and walk numbers go up which is always encouraging for a prospect. It shows maturity at the plate which Frazier definitely has. Frazier was seen most recently in the 2016 XM All-Star Futures Game where he went 2-for-3 with an RBI double and a stolen base for Team USA while also earning a promotion to Triple-A with the Columbus Clippers. Now Frazier is in Scranton/Wilkes Barre with the RailRiders with the Yankees organization and I think I speak for Yankees fans everywhere when I say we sure are happy to have you. Many of us, myself included, did not want to see Andrew Miller traded but it’s hard to argue against the absolute haul that Brian Cashman got for his lefty closer. So Clint, welcome to the organization .